Home » 1950s » >Tut, Tut! It looks like rain! >Tut, Tut! It looks like rain! I spent all day working on patterns and making a sample dress! 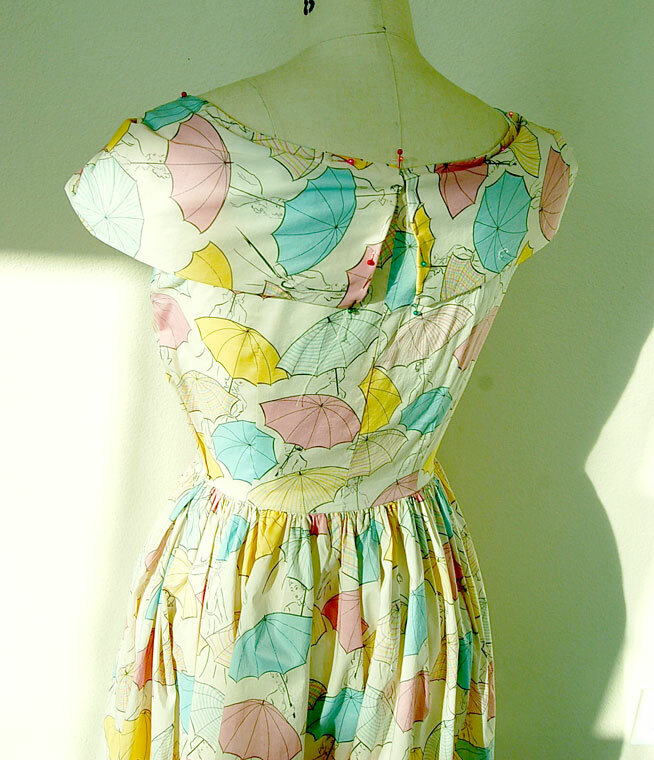 I have been hording this fabric for years, and finally came up with a worthy dress project. Its not quite finished yet, but this is one for me and I have JUST enough left to make one to sell on etsy, in size XS or Small, unfortunately! 11 Comments on >Tut, Tut! It looks like rain! >Oh my golly!!!! I think I’m dying of the cute fabric! hehe! This is just adorable… and if it’s a sample–wow! You’re going to do fantastic with the dressmaking venture; these types of designs will sell like hotcakes! *sigh* If only such adorable fabric grew on trees. Then my life would be complete. lol. 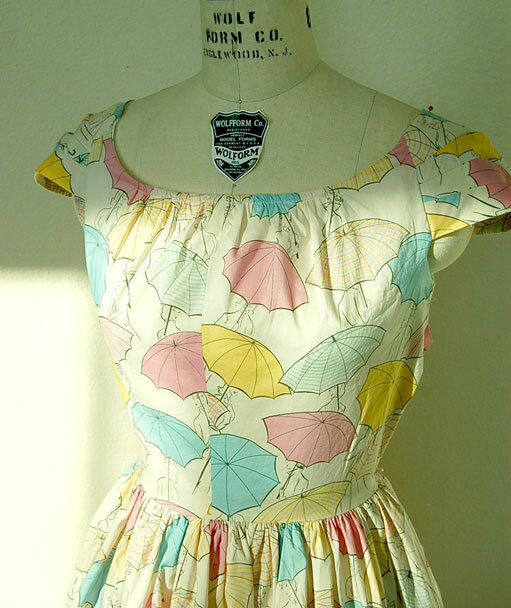 >How cute and adorable is this dress? Oh my gosh, the style is so cute on it’s own, but that fabric really makes it extra special! >so cute. I am xs/s so let me know when you list it! >Beautiful fabric. Is it vintage? >Ahh, I love the fabric and the dress! The back looks so sweet. 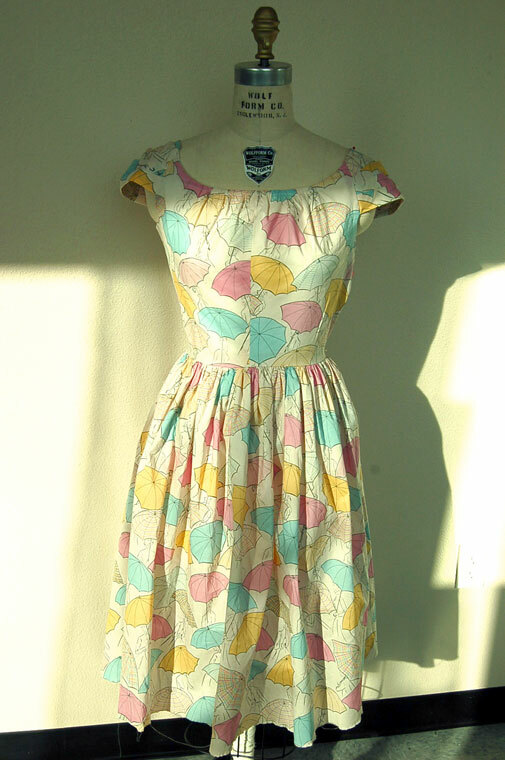 >How cute and adorable is this dress? Oh my gosh, the style is so cute on it's own, but that fabric really makes it extra special!